Unlock Bose AR via a firmware update through the Bose Connect app. Bose AR availability and functionality varies. Hassle-free Bluetooth pairing, personalized settings, access to future updates, and more through the Bose Connect app. 1 X QC35 wireless headphones. Bose® QuietComfort® 35 Wireless Headphones are engineered with world-class noise cancellation. Even better they free you from wires, connecting easily to your iPhone and iPad with Bluetooth. 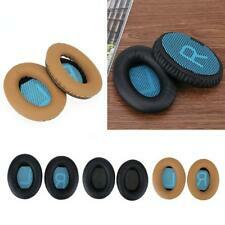 These headphones are designed with soft materials for comfort. This product is re-engineered with Bluetooth and NFC pairing which enables it to easily connect to devices wirelessly. They have an inline remote that allows the user receive and make calls. In great condition! Tested to be fully functional. Comes complete. Requires 1 AAA battery. Earpads could use replacing. Normal signs of use on headband padding. No heavy signs of wear otherwise. Pet and smoke free. Ships fast! Beautiful set of Bose QC25 Headphones Noise Cancelling QuietComfort 25 Apple Bose Headset Good Condition is Used. This is a gorgeous used headset. Great bargain. No airline adapter included. With its noise-cancelling technology, deep, clear sound and secure fit the QC20 provides maximum comfort. These black headphones weigh 1.6 oz. Model QC20. Color Black. Manufacturer Color Black. Case: 1" H x 5.5" W x 3.1" D.
Trending at $196.24eBay determines this price through a machine learned model of the product's sale prices within the last 90 days. Bose QC35 Black Headphones. These Bose headphones are USED but in good condition. There may be minimal scratches throughout. The ear pads and headband will be in good condition and have minimal wear. New ListingBose QuietComfort 35 II QC35 2nd Generation - Silver - Pristine! Bose QuietComfort 35 II QC35 2nd Generation - Silver - Pristine! . Shipped with USPS Priority Mail. 5 out of 5 stars - Bose QuietComfort 35 II QC35 2nd Generation - Silver - Pristine! 51 product ratings51 product ratings - Bose QuietComfort 35 II QC35 2nd Generation - Silver - Pristine! Bose Quiet Comfort QC3 Acoustic Noise Cancelling Headphones with the Rechargeable Battery. Condition is Used as pictured. Please look at all pictures for the actual condition of the item you are bidding on. Shipped with USPS Priority Mail. These Bose headphones are USED but in fair condition. There are scratches, wear, cuts and sticker residue throughout. (See Photos). These headphones have been tested and are fully functional. Bose Quiet Comfort 15 Headphones - Silver- Distressed . Bose QC20 In-Ear Only Headphones - Black / Silver. Shipped with USPS Priority Mail. Smoke Free Good Condition Customer satisfaction is our main concern. Please contact us if you have any problems with the item you purchase. We will work with you to resolve any issues. We appreciate your 5-Star positive feedback, It will help us keep providing same great items at a discounted price! Thank you for your purchase! Trending at $115.00eBay determines this price through a machine learned model of the product's sale prices within the last 90 days. 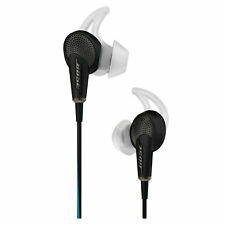 Bose QuietComfort 25 Acoustic Noise Cancelling Headphones Samsung/Android Black. QuietComfort 25 headphones are engineered to sound better, be more comfortable and easier to take with you. Put them on, and suddenly everything changes. Bose acoustic equalization. Combines Unmatched N/C with Bose Sound. TriPort acoustic headphone structure. Type: Active noise cancelling. Connectivity Technology: Wired. Headphones Form Factor: Circumaural. New ListingBose QuietComfort 35 Wireless Headphones II - SUPER DEAL!!! SIGNS OF USAGE FROM DAILY USE. (SEE PICS ). NO OTHER INFORMATION IS AVAILABLE. NO OTHER ACCESSORIES. WHICH MAY NOT BE EASILY SHOWN IN PICS. ITEM MAY HAVE MILD DENTS, DINGS OR SCRATCHES THROUGHOUT. 5 out of 5 stars - Bose QuietComfort 35 Wireless Headphones II - SUPER DEAL!!! 1 product rating1 product ratings - Bose QuietComfort 35 Wireless Headphones II - SUPER DEAL!!! Bose QuietComfort QC35 (Series I) Wireless Bluetooth Headphones Noise Cancelling. Condition is Used. Shipped with USPS Priority Mail. Everything pictured is what you will receive. Please feel free to message me if you have any questions! These Bose headphones are used but in good condition. There may be minimal scratches throughout. These headphones have been tested and are fully functional. THE ONES PICTURED ARE FOR APPLE. THE ONES THAT YOU RECEIVE WILL BE FOR ANDROID . BOSE QuietComfort 20i Earbuds for Apple iOS Devices (QC20i). Noise is a constant. The system then produces an equal and opposite signal to cancel the noise. Noisy commute to work?. Block out the distractions. Then turn it back up after takeoff. Unless you let it. Bose QuietComfort QC25 Headband Headphones With Case - APPLE. These are used headphones, that have been tested and is fully functional. There are minor blemishes throughout including but not limited to scratches and scuffs. Bose QuietComfort 25 Noise Cancelling headphones, Black. 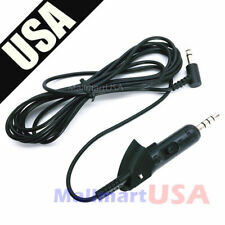 Cable with inline microphone. Travel case. Condition is New. Connectivity technology : Wired. The Samsung Galaxy variant headphones were designed specifically for the Samsung Galaxy family of smartphones. There may be limited functionality when using them with other Android devices. QuietComfort 25 headphones are engineered to sound better, be more comfortable and easier to take with you. Put them on, and suddenly everything changes. Your music is deep, powerful and balanced, and so quiet that every note sounds clearer. Bose QuietComfort 35 (Series I) Wireless QC35 Headphones- BLACK. This pair of Bose QC25 Headphones is in excellent, clean condition and perfect working order. It’s fun and often results in a great deal for everyone! Fein ASCM 12 QC 4-Speed Corless Drill Driver Kit PRISTINE 71161061090 USD 349.00. Bose Quiet Comfort 3 QC3 Acoustic Noise Cancelling Headphones. Used but great condition! Excellent battery life (rechargeable). Shipped with USPS Priority Mail. Smoke free pet free home. 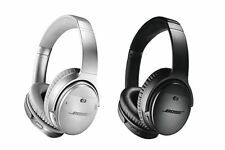 BOSE QuiteComfort 35 QC35 Noise Canceling Bluetooth NFC Wireless Headphones. Very Good condition. Shows minor signs of use. Cleaned and tested. Misunderstanding of the functionality. 5 out of 5 stars - BOSE QuiteComfort 35 QC35 Noise Canceling Bluetooth NFC Wireless Headphones. 327 product ratings327 product ratings - BOSE QuiteComfort 35 QC35 Noise Canceling Bluetooth NFC Wireless Headphones. Took out of box. Never used. Purchased at airport for a flight and never used. Charged once. See my feedback! Get a deal! New Bose QuietComfort 35 II Headband Wireless Headphones - Blue W Case Limited. Condition is New. Shipped with USPS Priority Mail. Bose QC20 In-Ear For Apple Devices. Genuine and perfectly working Bose noise cancelling earbuds. 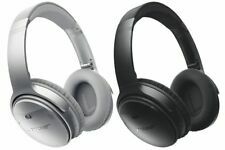 BOSE QC-2 Quiet comfort 2 Acoustic Noise Cancelling Wired Headphones w/ Case ~! 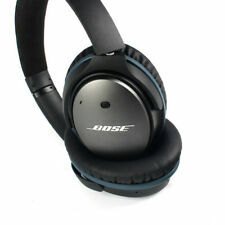 5 out of 5 stars - BOSE QC-2 Quiet comfort 2 Acoustic Noise Cancelling Wired Headphones w/ Case ~! 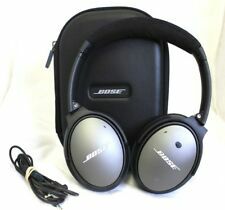 1 product rating1 product ratings - BOSE QC-2 Quiet comfort 2 Acoustic Noise Cancelling Wired Headphones w/ Case ~!